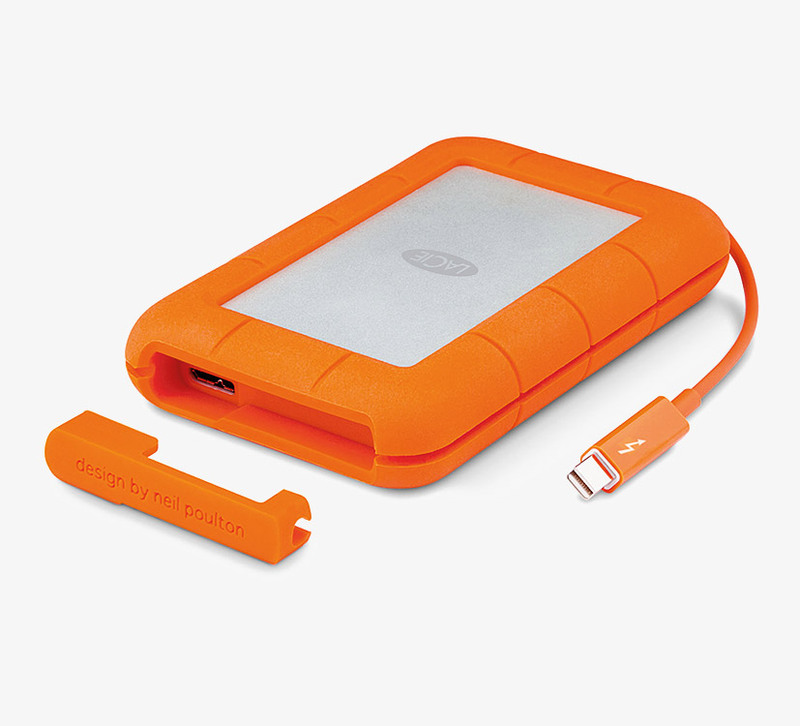 These LaCie Rugged drives, available in two capacities, are intended for heavy-data users, who require extreme data security and mobility, in environments such as film sets, photo shoots and music studios. 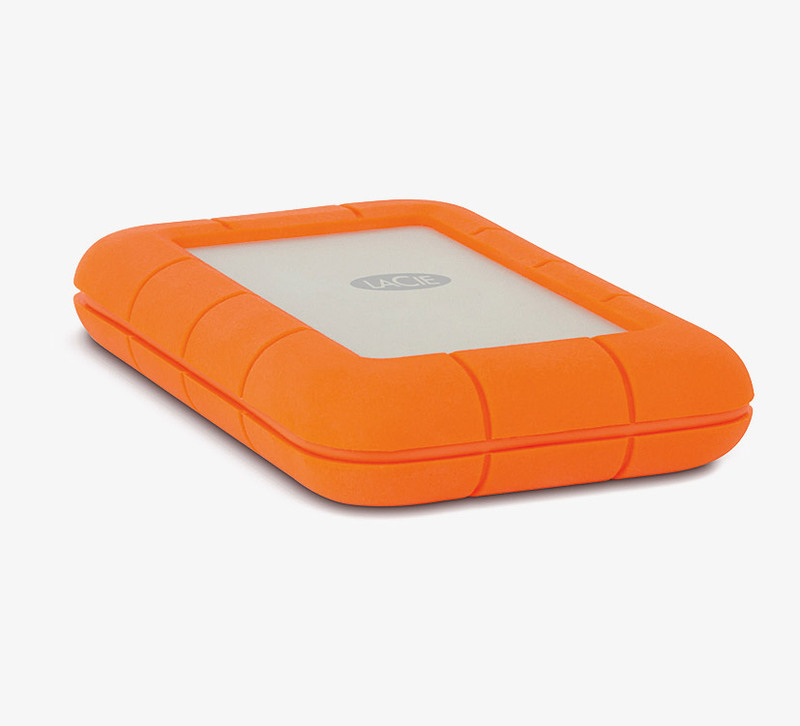 The drive is housed in an IP54 sealed metal enclosure with a thick silicone bumper around the edges, providing protection against dust, water, drops from up to 2 metres and being run over by a 1 tonne car. 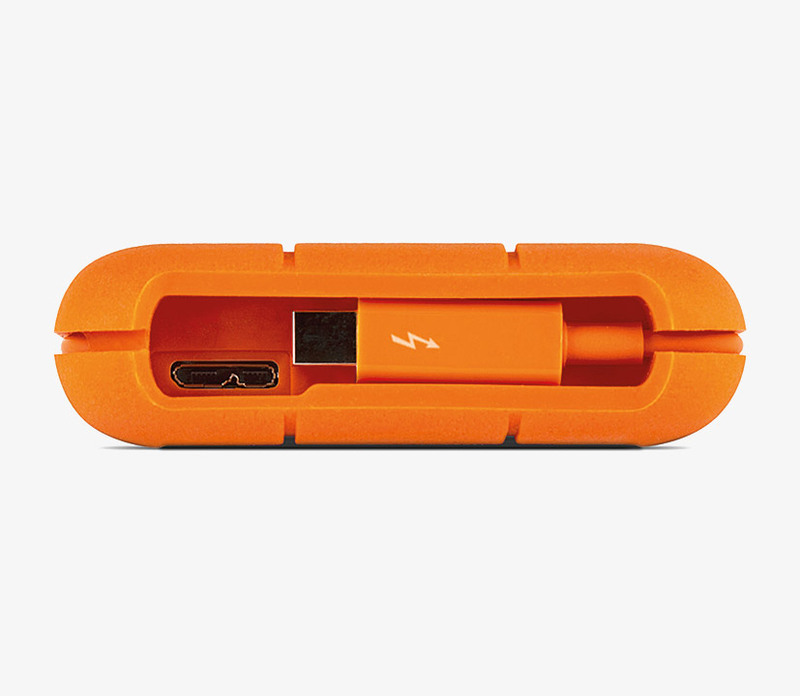 The integrated Thunderbolt or supplied USB 3.0 cable, provide power and access to the data. The drives are compatible with both Microsoft Windows and Mac computers. For encrypted, portable, solid state or hard disk drives see iSTORAGE PORTABLE STORAGE - Solid state and hard drives - Encrypted.